I love this match die set, after making the one from the notecard I'm so happy Emma decide to make this. And The stamps that go with it are fantastic! I added a sentiment on the inside from the You Are A Blessing set. 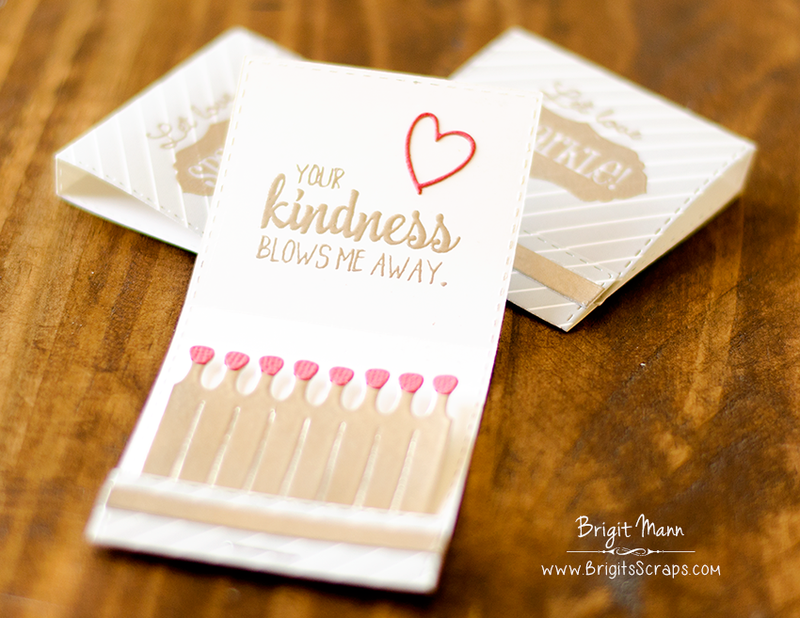 OMG Miss Brigit Love your Matchbook Card.....It's so cute and Congrats for you being the inspiration for today's Sneaky Peek....I remembered your Matchbook idea...and loved it so much...so am totally stoked about today's set!!! So Loving your ideas today using this set!! YOU so did a Super Outstanding Creative Job!!! YOU SO ROCK!! Cute matchbook cards!! Love the sentiments!! Absolutely love what you created with this fun new die! The embossing is beautiful and I love the sentiments you used!! 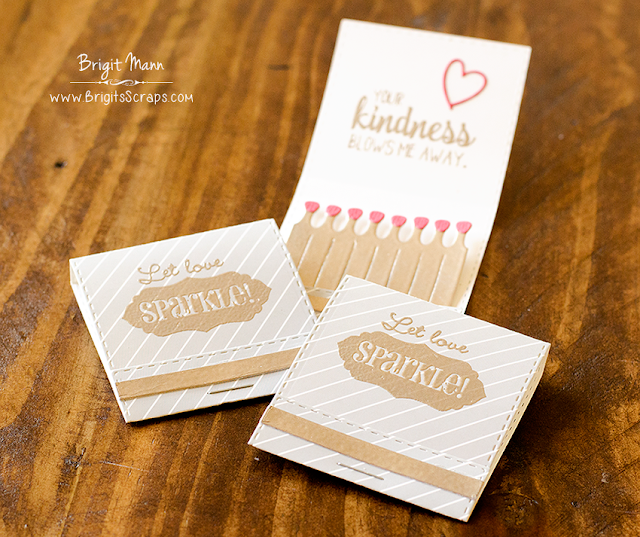 Your matchbooks are just darling, Brigit!!! This matchbook is just too cute! Such a cute die! Love how you stamped the sentiment in the inside! Pretty sentiment! So many fun ideas for this awesome Perfect Match stamp and die set! Lovely! Adore the sentiment too! So fun! Wow, this is such a great idea, I so want this set! Love the match box die, so versatile. You're projects are amazing.every.single.time!!! I love the colors you used...not something I would typically think of using...and yet it looks stunning! TFS! Ms. Brigit, this matchbook is just so cute. Love it! So cute and fun. Awesome new set. Way to rock those dies, love it! This is a cute die and the sentiments are great! I really like the little matches. What a fantastic little project!!! This matchbook is such a clever little thing! So glad that Emma created this! Love what you have done with it!! Thanks for sharing!